Nobody complains more about wine writing than wine writers, and I admit that I am not the least complainer of the lot. But this time it’s personal: My ox is being gored. For the New York Times food section of September 13th, Eric Asimov wrote a nice, informative essay about the wine of Cahors. Asimov is one of the best wine writers the Times has had, and he did a good professional story about his discovery of the revival of the traditional, Malbec-based, “Black Wine” of this historic region. The problem is, the story has been written before – probably several times, because this news isn’t new; but the time that concerns me most is the article on this subject Diane and I wrote for Food & Wine magazine 35 years ago. The resurrection of the fabled wines of Cahors apparently is an often-repeated – or continuous – process. Our article reported then the same facts that the Times story does now: In the Middle Ages, the wines of Cahors rivalled those of Bordeaux, particularly in the English market. They lost ground as the English armies that had occupied much of central France – including Cahors – gradually retreated to the coast, enabling Bordeaux to establish its ascendancy. That dominance was completed when the phylloxera devastated the Cahors vineyards. In the aftermath, it proved too difficult and too expensive to replant the vineyards on the steep slopes that had provided the Black Wine’s greatness, and viticulture largely retreated to the valley floor and viniculture to mediocrity. But lo! a new generation of winemakers is now arising, and they are reclaiming those difficult slopes and with them are restoring Cahors’ historic greatness. The hero of the Times story is Jean Marie Sigaud, who is credited with, in 1975, having the “brilliant idea” of planting grapes again on the hillsides. Well, our article’s paladin was Georges Vigouroux of the reclaimed hillside vineyards of Château Haute-Serre, who since 1976 had been making big, powerful, elegant wines there, which, by the time of our visit in ’82, were being hailed in France as reviving the glories of Cahors. I’m not complaining here simply that Diane’s and my work has been ignored (though obviously that irks me, and if the Times didn’t maintain its stupid policy of isolating its wine writers from their peers and colleagues, it could easily have been avoided), but about a common fault of the wine writing profession that I think is far more serious – the total failure to acknowledge, or, in many cases, even be aware of, the work of predecessors. In almost every other discipline, writers are expected to recognize previous efforts, especially those substantially in agreement with them. In wine writing, articles are written as if history began yesterday – and that’s deplorable. I realize that most writers can’t afford the luxury of a research staff – but surely a Google search is within reach? Some reading around in the area you’re writing about? And publications the size and authority of the Times could afford to pay someone for an hour or two of archival work? Or am I just being an old pedant, and demanding something no one is really interested in? Probably the latter, I suspect. A few smallish items of interest have been accumulating over these balmy days, so I will depart from my usual format and try to bring you up to date, as well as clear off my desk – the latter, of course, a hopeless endeavor. All the reports I’ve read and heard about the 2015 vintage of Beaujolais have been ecstatic. 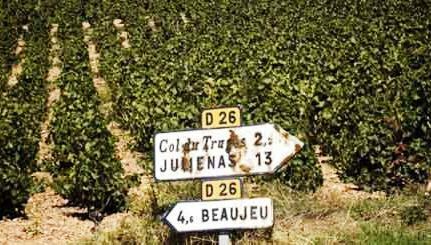 Almost everyone agrees that, especially for the Beaujolais crus, 2015 is the best vintage in living memory, and the excitement is mounting as the wines have begun arriving – very slowly, it seems to me – on these shores. I haven’t seen many of them in the shops yet, but I’m keeping my eyes open. 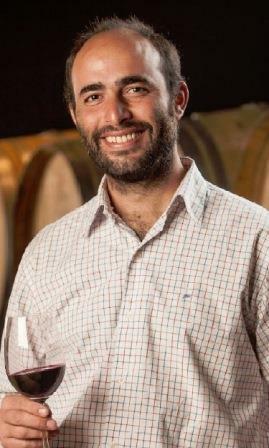 For more detailed information, I heartily recommend Michael Apstein’s very authoritative account in Winereviewonline.com. Dolcetto is an excellent wine too little loved in this country. It has wonderful refreshing fruit, usually moderate alcohol, and lovely Piemontese structure. Though a little light in acidity compared to other Piemontese red wines, it companions beautifully with most meats and vegetables, and it especially makes a great summer lunch and dinner wine. I’ve written about Dolcetto before, but it bears repeating that the very best of them are quite distinguished wines indeed, so much so that a few years ago, those from the Dogliani zone were granted the DOCG, and the right to call themselves simply Dogliani – though no one in the US seems to have paid much attention. The best of these that I have so far tasted have come from two producers, Chionetti and Pecchenino, and they are truly lovely wines. I’ve been reminded of this very forcefully by two bottles of Pecchenino’s best crus that I recently tasted: San Luigi and Sirì d’Jermu (deep Piemontese dialect here). 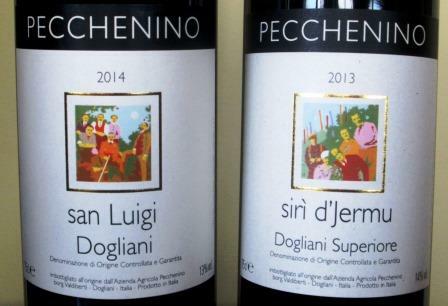 Pecchenino describes San Luigi as “ruby red, fruity, with good acidity and a slightly almond aftertaste.” Sirì d’Jermu is described as having “intense ruby red color, hints of small red fruit, good acidity, and well balanced with silky tannins.” I’d describe them both as delicious, and very convincing proof that Dogliani deserves the DOCG. The most surprising news of the summer surely was the recent announcement of the sale of the Vietti winery and vineyards – the whole operation – to an American firm not in the wine business. 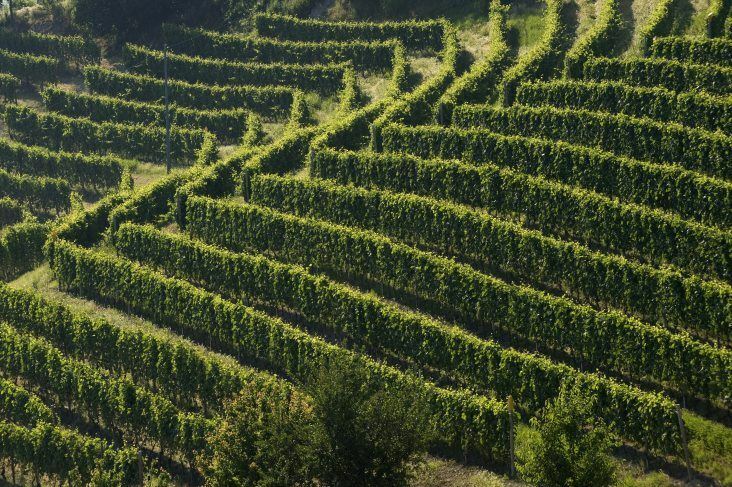 Piemontese winemakers – especially those in the Barolo and Barbaresco zones, where the Vietti firm is almost a landmark – do not lightly part with land, and a sale to an outsider is almost unheard of. The aftershocks of the deal were very reminiscent of a few decades back, when California’s pioneering Ridge Vineyards was sold to a Japanese firm. Happily, when the dust cleared on that deal, nothing terribly substantial seemed to have changed: Paul Draper was still in charge, and many excellent Ridge vintages continued to be produced. It looks as if the outcome will be similar with the Vietti sale, once all the fluttered pulses return to normal. For a very clear account of this important transaction, see Tom Hyland’s two key interviews, one with Luca Currado, the now former owner of Vietti, and the other with Tanner Krause, the new owner. 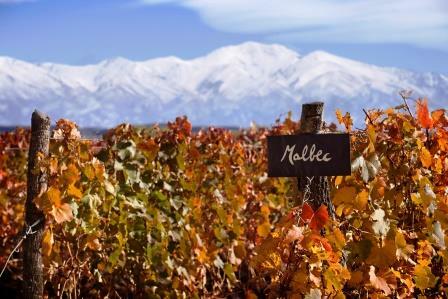 Given the current popularity of South American Malbec, it is really a shame that more consumers don’t know or appreciate the once famous “black wine of Cahors” – which is Malbec, all Malbec, and nothing but Malbec, from the patch of France where Malbec originated. Cahors is a charming little city located in a loop of the river Lot in south-central France. It is the capital of the hilly, stony region that produces the wine that bears its name. And it is an almost black wine, deeply colored and full-flavored. Once upon a time, it was very tannic and aggressive and needed plenty of aging to soften and become palatable, but that’s not so anymore, as both climate change and new viticultural techniques have rendered the wine gentler on the palate and approachable much sooner. 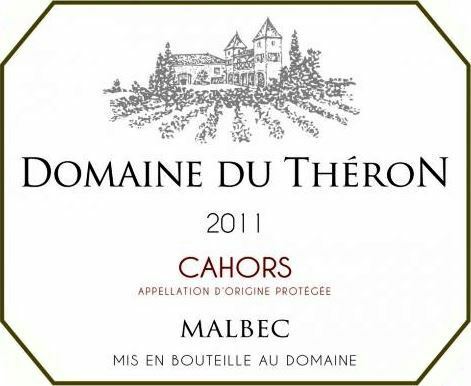 There are many good producers, most family-owned estates such as Domaine du Théron, now owned by three brothers who work some very old vines, and whose 2011 Cahors Malbec Prestige, tasted at dinner just a few nights ago, prompted this note. The 2011 Prestige had positively velvety tannins and drank very well already, just five years after harvest – which for a red wine of structure and interest aint bad at all. 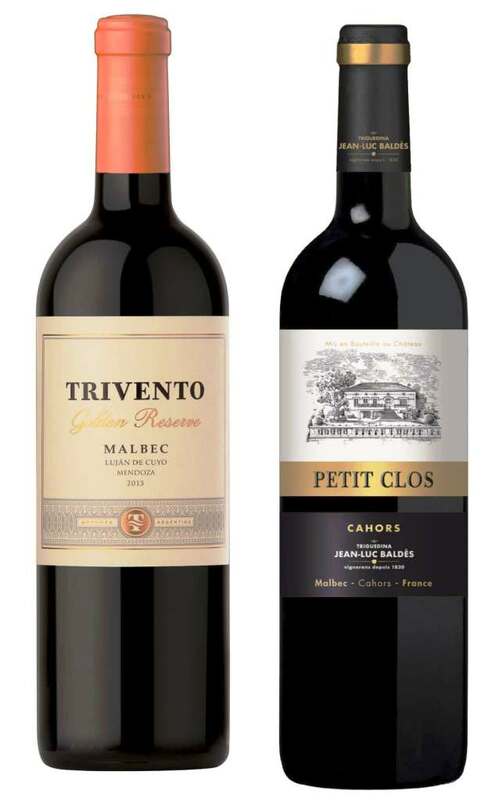 Malbec fanciers owe it to themselves to explore Cahors: All the fruit flavor they love is there, plus some real finesse.